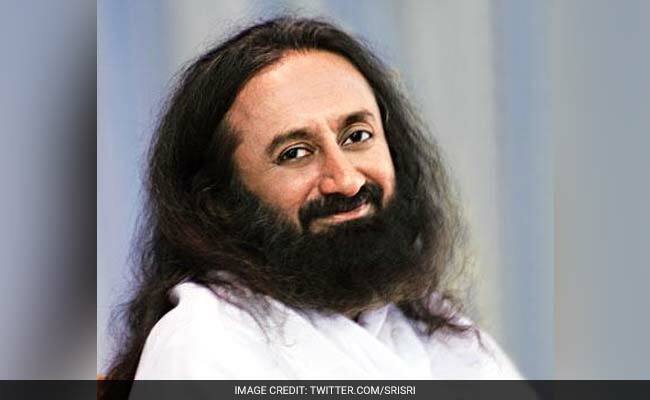 Sri Sri Ravi Shankar, an Indian guru known best for founding the Art of Living foundation, which has a vast global community of followers, claims to have attempted to start peace talks with the militants of the Islamic State. But his efforts proved futile. "I tried to initiate peace talks with the ISIS recently but they sent me a photograph of a beheaded body of a man," he told Indian media, using another name for the extremist organization. "Thus, my effort for a peace dialogue with the ISIS ended." The advocate for meditation and harmony offered this frank conclusion: "I think the ISIS does not want any peace talks. Hence, they should be dealt with militarily." It's not clear when this overture was made or to whom - whether actual militants in Iraq and Syria or proxies elsewhere. According to ANI news agency, Shankar said he had a phone call where he proffered the failed invitation for dialogue. The guru was speaking to media in Agartala, a city in India's remote and restive northeast, which has been the site of its own longstanding ethnic insurgencies. In recent years, he has sought to spread his philosophy of mindfulness and inner spirituality to conflict zones, including in Iraq, site of some of the worst ravages of the Islamic State. In 2014, he visited refugee camps in northern Iraq that were home to many Yazidis, members of a minority sect deemed heretical by the Islamic State. Their brutalization at the hands of the jihadists has been likened to genocide by the international community. A statement on the guru's website said his Iraq peace efforts were part of a "two-pronged mission: providing stress relief and disaster management techniques to overcome personal stress and helping people pick up their lives through service initiatives."